Who Would Win In A De La Hoya-McGregor Megabout? 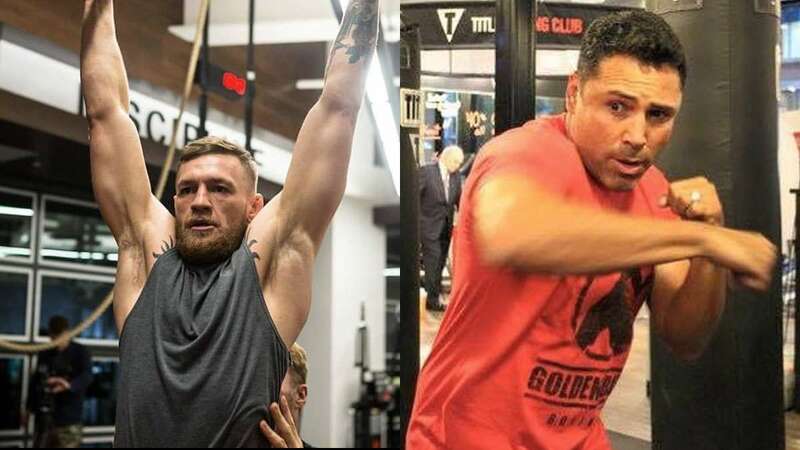 Boxing legend Oscar De La Hoya has announced that he was willing to go out of retirement to face MMA star Conor McGregor in another potential moneymaking megabout inside the boxing ring. The 44-year-old former world champion issued the challenge during an interview with Golden Boy Radio. “So you know I’m competitive. You know I still have it in me. I’ve been secretly training and I’m faster than ever and stronger than ever,” he said. De La Hoya also expressed confidence in winning against the 29-year-old UFC Champion who lasted ten rounds against Floyd Mayweather, Jr. during his debut boxing match last August. De La Hoya currently spends his time managing Golden Boy Promotions. He last entered the ring way back in 2008 and was sent into retirement after getting badly beaten by Manny Pacquiao, who was then in his prime. Nothing has been made official yet but so far, these ESPN analysts agree that a De La Hoya-McGregor matchup would be interesting to watch. They’ve also predicted De La Hoya to come out on top due to his experience despite being inactive from boxing for a decade.